Work hard, play hard, right? How about work hard, rest hard? Taking a break from working is essential to being able to do the best work you can possibly do while also maintaining a healthy work-life balance. Being mindful of yourself and your time off the clock is vital to succeeding as a remote worker. When not regulating your time both on and off the clock, can be quite common, it often can lead to a feeling of being overwhelmed. If you think about it, this makes quite a bit of sense. Because remote workers are completing their assignments from homes, their homes become their offices. Once this mentality sets in, it can be difficult to ever feel like you’ve left the office for the day. So how does one fix this? We’ve got a few ideas, from having a designated workspace to setting personal deadlines throughout the day. Want to be sure that you’re being mindful of yourself? Take a scroll through these 4 ways to take a break from working to get some inspiration. 1. Don’t work from bed. We know that the idea of working from your bed in your pajamas is a pleasant one. However, you want to establish strict boundaries within your home for what spaces are for work and which are for relaxing. Have a deskspace or tablespace that is dedicated solely to your work, and when you wrap up your work for the day, don’t bring it into any other space, including your bedroom while you relax, the couch while you’re watching TV, or the kitchen while you’re making dinner. Instead, allow those other spaces to be spaces of mindfulness, where you don’t think about, talk about, or do any work. Once your 5pm arrives, log off from your computer and doing work — no exceptions. In the same way that one shows up to work when the day begins, you have to be willing and ready to leave work when the day ends. In doing this you’re allowing yourself enough time to recharge for tomorrow. It’s easy to find yourself sitting at a desk for hours on end. This isn’t good for your body, and it also isn’t good for your mind. 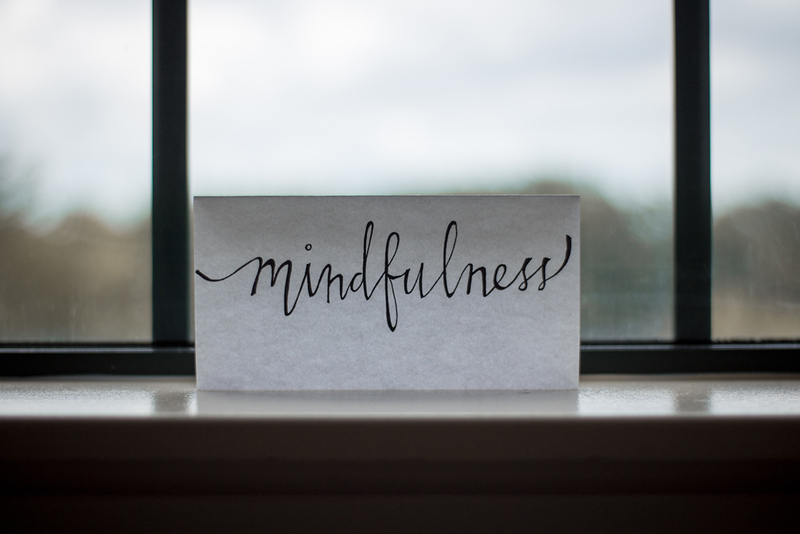 Getting up and talking a walk around the neighborhood, or at the very least, making a trip to your kitchen for a glass of water, can be a hugely helpful habit when you’re trying to practice mindfulness during the remote work day. Set alarms if you have to — it’s not always easy to take a break from what you’re doing, but it is important. 4. Stick to single tasks. Rarely has multitasking ever proved to be more productive than focusing on one task. The human brain isn’t meant to do more than one thing at a time. Remember that. Next time you think that you can answer emails while also being on a conference call and keeping an eye on your social media accounts, think again. Complete your tasks one at a time, and you’ll begin to see that they end up being completed more quickly and with more precision. Also, you’re giving your brain a break, which is exactly what it needs if you’re trying to practice mindfulness at work.